Roll up, roll up! It’s the event of the year! 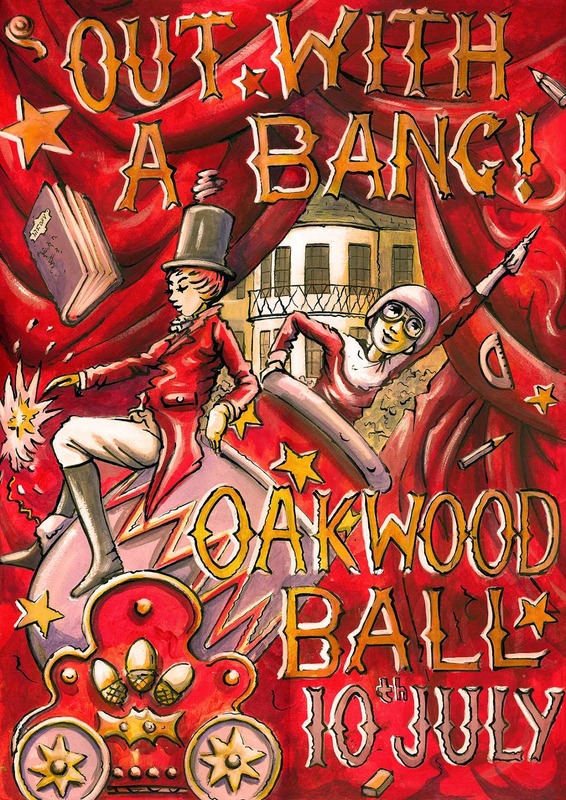 If you want to go OUT WITH A BANG, make sure you book your tickets now for Oakwood’s Summer Ball. It’s going to be DYNAMITE. 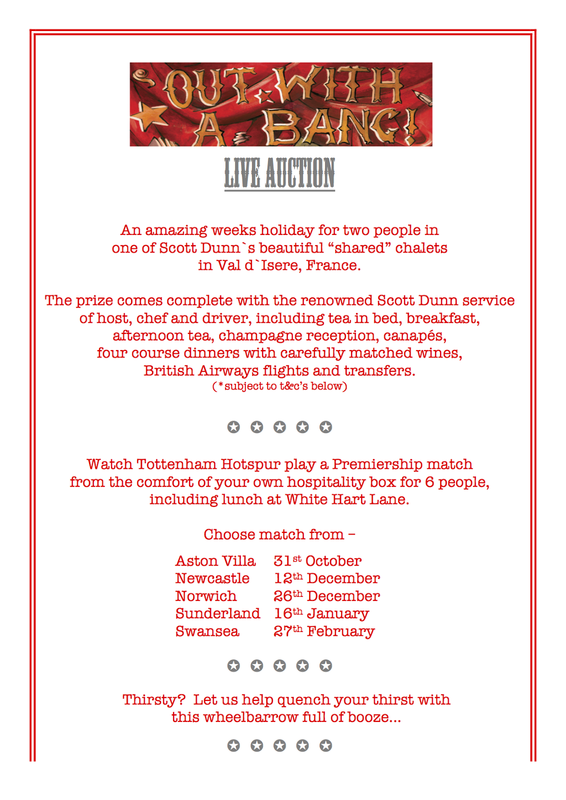 To make the evening go with a BANG, the corks will be POPPING for the glass of bubbly on arrival, the live band will be BOOMING and the delicious cocktail bar will be SHAKING all night,. And don’t forget to bring a sack of gold to make sure the silent and live auctions go with a BLAST. Great prizes for great causes! Ladies, an excuse to glam up, and gents, dust off your black tie or something smart and we’ll see you at 8pm in the marquee for an EXPLOSIVE evening! These wine tasting notes are sure to light your fire! peach. Slightly sweet in taste. with subdued acidity and pleasant tannins with a harmonious aftertaste. palate with balanced tannins and subtle oaky aromas. leading to fresh lily flower fragrance. the palate with natural acidity. It is very fruity with a crisp, dry finish. wine with a mouth watering finish. Choose your meal type and make your wine choices and you can then amend quantities in the shopping cart. If you want to order both vegetarian and standard meals then return to this page and make the second choice and it will all be added to the cart. Sit with Year Group / Friends? ﻿This Frizzante is a brilliant, light straw-yellow wine, with a persistent froth and extra-fine perlage. Agreeable bouquet, characteristically fruity with hints of Golden apple and peach. Slightly sweet in taste. Intense ruby red with purple undertones. The ‘Kalterersee Puntay' impresses with its fruity and intensive bouquet, reminiscent of forest fruits and ripe cherries. It is full-bodied with subdued acidity and pleasant tannins with a harmonious aftertaste. This wine is bulging with rich flavours of red berries and ripe plum. It has a medium-bodied palate with balanced tannins and subtle oaky aromas. The nose presents with gooseberry, greengage and lemon peel fruitiness on the nose leading to fresh lily flower fragrance. With pungent aromas of citrus, nettles and some tropical fruit, it has a good weight on the palate with natural acidity. It is very fruity with a crisp, dry finish. Beautifully bright pink in colour with pungent fruity flavours of red berries and a touch of spice. Smooth and round on the palate with a balanced natural acidity. A refreshing wine with a mouth watering finish. 'Tis the season to be jolly so please come along, celebrate the end of term and have some fun at the Oakwood Christmas Drinks which will be held in the library on Friday 5th December 2014. We will open the doors at 7.30pm and you will be welcomed with your free drink, canapes and entertainment. We will also have a bar (cash and we will try and get the Paypal card reader to work) for top up refreshments. Mulled wine, Winter Pimms, Something Sparkling and beer will all be available! Please come and join us for the Oakwood Parents’, Children and Staff Tennis Tournament! All abilities are welcome and no experience of tournament play is necessary. Players should bring a racket and wear trainers but tennis balls will be supplied. This will be a fun day and all the family are welcome. Please bring a picnic and refreshments and there will be a raffle and prizes. All proceeds will be donated to the FOO fund. Friends of Oakwood, commonly know as FOO, is a committee of parents who help organise various fun activities for the children and parents throughout the year. We’re not PTA with the endless cakes sales and sponsored walks; far from it! 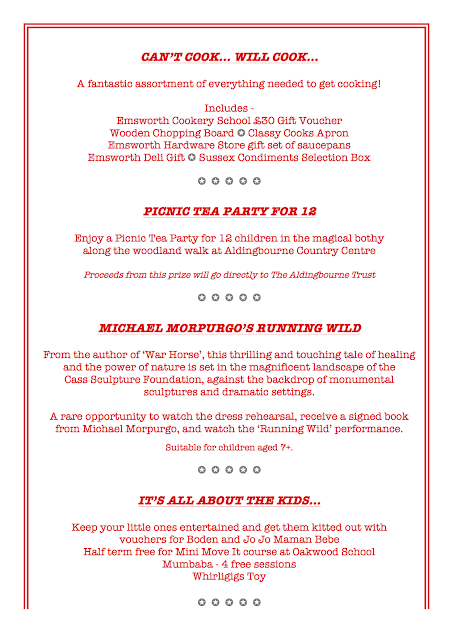 Nothing is beyond our team: Firework Evenings, Seasonal Fetes, Wine Tasting Evenings , Summer Balls and the Circus. Friends of Oakwood – What is FOO and what does a Class rep do? Copyright © 2012 The FOO.